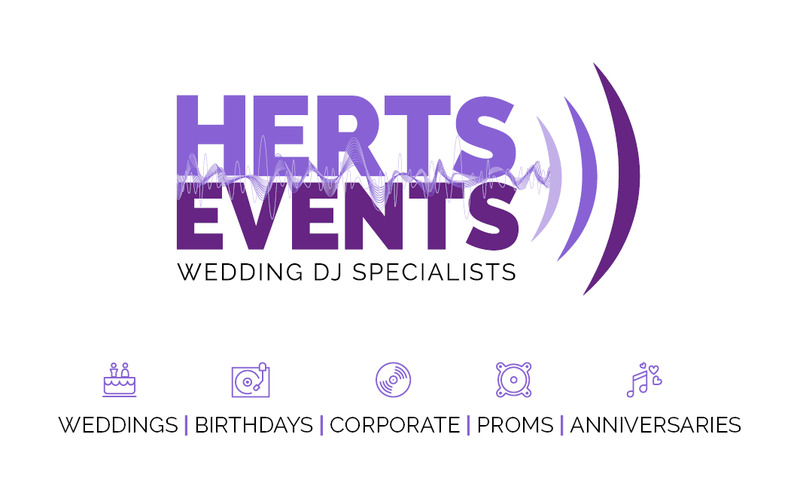 Herts Events are a professional wedding DJ / Events company based in Hertfordshire and managed by Andy & Mark. Full time experienced multi genre DJ specialists with high quality PA & Lighting systems. We provide our unique personal services for any type of event including Weddings, Corporate Events / Xmas Parties, Birthdays, Engagement Parties, Proms, Christening’s and any public or private function. We encourage playlists and have a musical collection spanning every genre from the 1950s – 2018. Please contact us at www.herts-events.co.uk for more information and package prices.